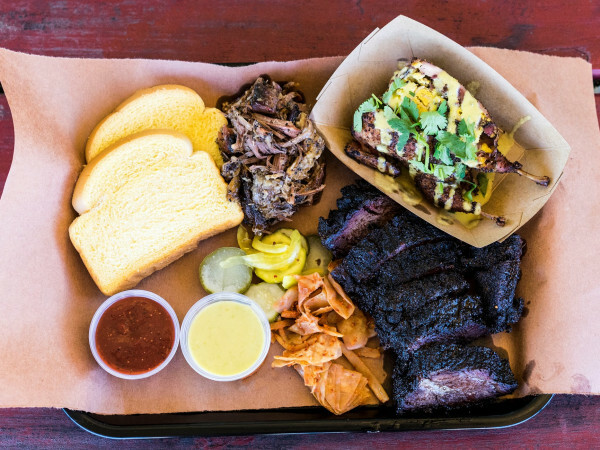 Treat yourself to brunch at one of Austin’s favorite foodie destinations to ring in the new year. Cheers to 2017, whatever it may bring. Want the feel of a leisurely meal served in a European bistro? Blue Dahlia is your spot. The New Year’s Day brunch will feature a special crab frittata made with fresh tomatoes, Parmesan cheese, and herbs. 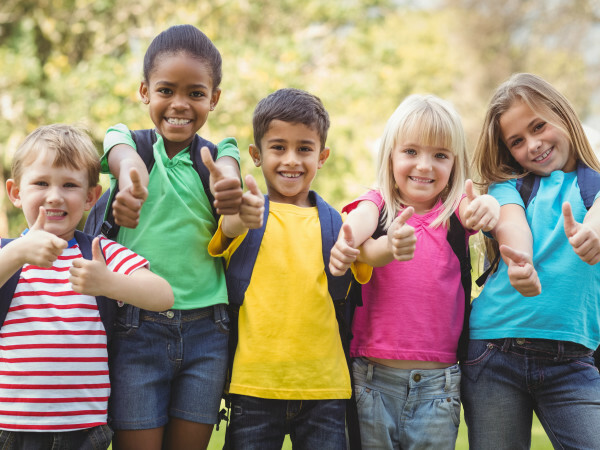 Reservations are for groups of six or more and taken only at the West Lake location. Brunch is served from 9 am to 4 pm. If you need a laid-back New Year’s Day brunch to follow an evening of partying, check out the lineup at Geraldine’s. 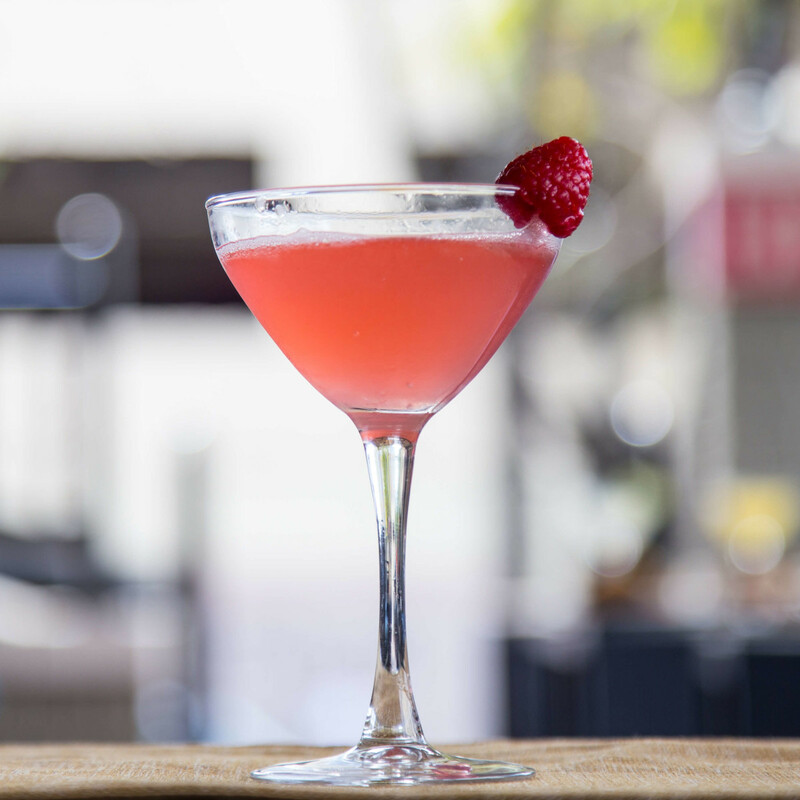 Located on the fourth floor of the Hotel Van Zandt, Geraldine’s has one of the most highly acclaimed bartenders in town, a poolside bar with a panoramic view of the city, and a killer menu. 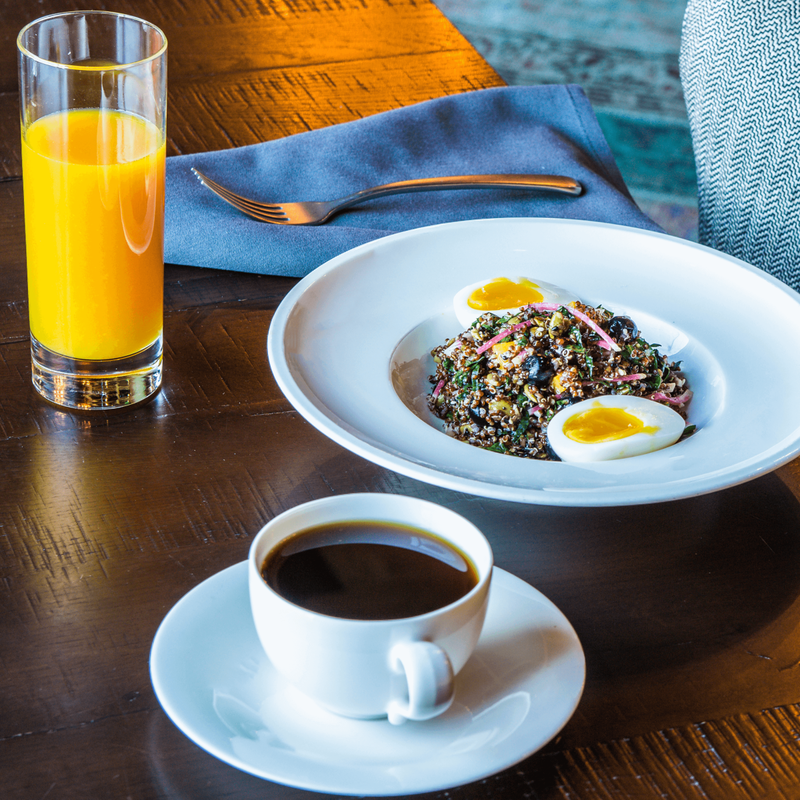 Indulge in locally sourced Texas farm egg omelets, brioche French toast, or red quinoa breakfast salad. For a hair of the dog, we recommend the specialty brunch cocktail Fly Like Paper, made with Maker’s Mark bourbon, Gran Classico, and lemon. Sit back and enjoy being serenaded by Geraldine’s Jazz Brunch Band as 2016 quickly becomes a distant memory. Brunch is served from 9 am to 1:30 pm. Jack Gilmore is a local legend, and after you dine in his restaurant you always feel like you are a friend. The food is tasty, creative, and locally sourced. There's no better way to kick off 2017 than a feel-good place with a taste-good meal served buffet-style. Get ready for chicken-fried pork tenderloin, enchilada casserole, fresh tomato basil pie, and jalapeño sausage. Don't miss Jack’s famous pomegranate sangria. Brunch is served from 10 am to 2 pm. 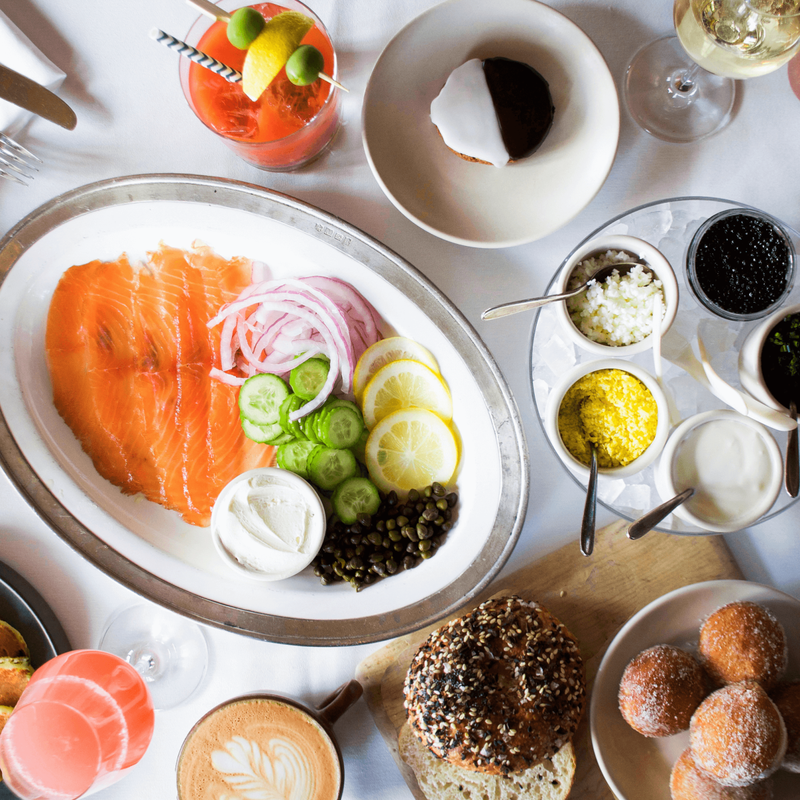 Jeffrey’s is bringing back the popular bagel brunch with all of the favorites everyone was raving about — the pastry cart, the shrimp and oyster tower, the wood-fired bagels, the potato latkes, and the scrambled eggs with lobster caviar and bellinis. While you are chowing down, Margaret Wright will be entertaining on the grand piano. So very sophisticated and civilized. Brunch is served from 11 am to 3 pm. For a more laid-back and affordable alternative to Jeffrey's, right next door you will find Josephine House. The food and the service are equally impeccable, and the atmosphere is comfortable and inviting. The brunch menu will feature huevos rancheros, lemon ricotta pancakes, sweet potato and chicken hash, steak and eggs, and our favorite: Alsatian tart made with acorn squash, cheddar cheese, and bacon. Brunch will be served from 10 am to 3 pm. This is the place for all of you die-hard sports fans and foodies. 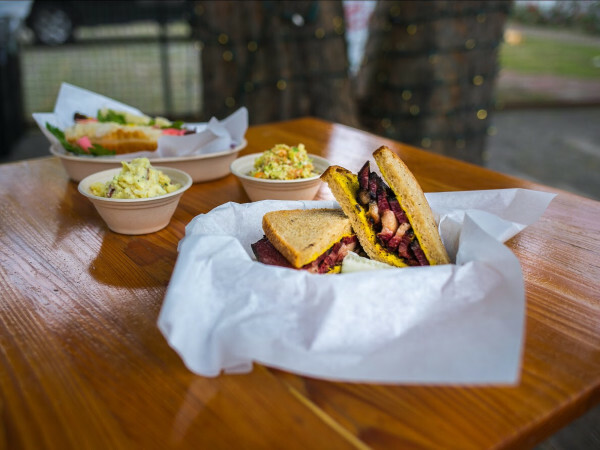 The Park is a sports bar with scratch-made food and healthy offerings, as well as the classics there is something for everyone. The New Year's Day brunch will feature classic offerings like biscuits and gravy, migas, and French toast, as well as a $5 build-your-own Bloody Mary bar and five different $1 mimosas. Brunch is served from 11 am to 3 pm. If you want to start the new year with fresh seafood and oysters flown in daily, Perla's is the spot. Menu items include lobster rolls, pancakes, brioche French toast, shrimp and grits, and a decadent lobster frittata. In case you want to extend your holiday, they are serving brunch again on January 2. Brunch is from 10:30 am to 2:30 pm. Looking for a bit of fun on New Year’s Day? Punch Bowl Social is the place — with table games, a vintage arcade, and bowling, there is plenty to do. And lucky you: New Year’s Day falls on a Sunday so you and your party can enjoy all of the tasty treats offered on the Sunday brunch menu, including popular entrees like monkey bread French toast, mushroom biscuits and gravy, or quinoa hoecake Benedict. Toast to your luck in 2017 with black-eyed pea hummus and a beverage from the Bloody Mary bar. Brunch is served from 9 am to 3 pm. 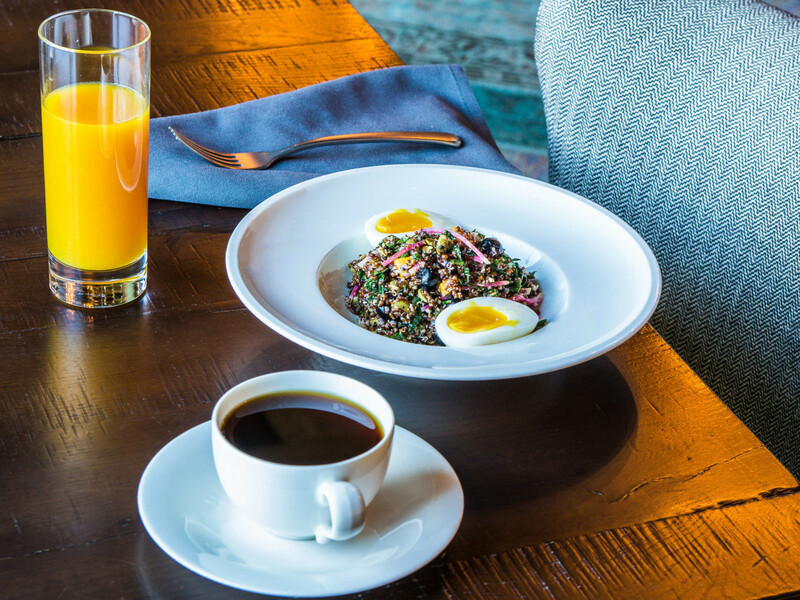 If you have never experienced a menu created by one of Austin’s favorite chefs, David Bull, then you really must treat yourself to brunch at the new Second in the Archer Hotel. A buffet-style menu will feature items like pork belly fried rice, bacon cheddar waffles, and a carving station of beef pastrami. Oh, and did we mention pastry offerings and the stellar wine list? Brunch is served from 9 am to 3 pm. 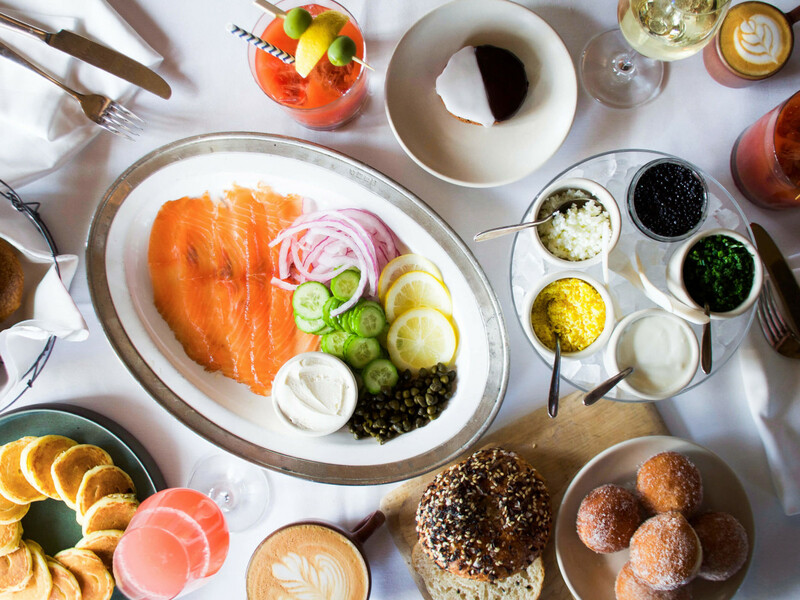 We recently indulged in a leisurely brunch at Sophia’s. Talk about a treat, and one of Austin’s best-kept secrets — fitting for a restaurant that bills itself as a retro supper club. It looks and feels like a members-only speakeasy. 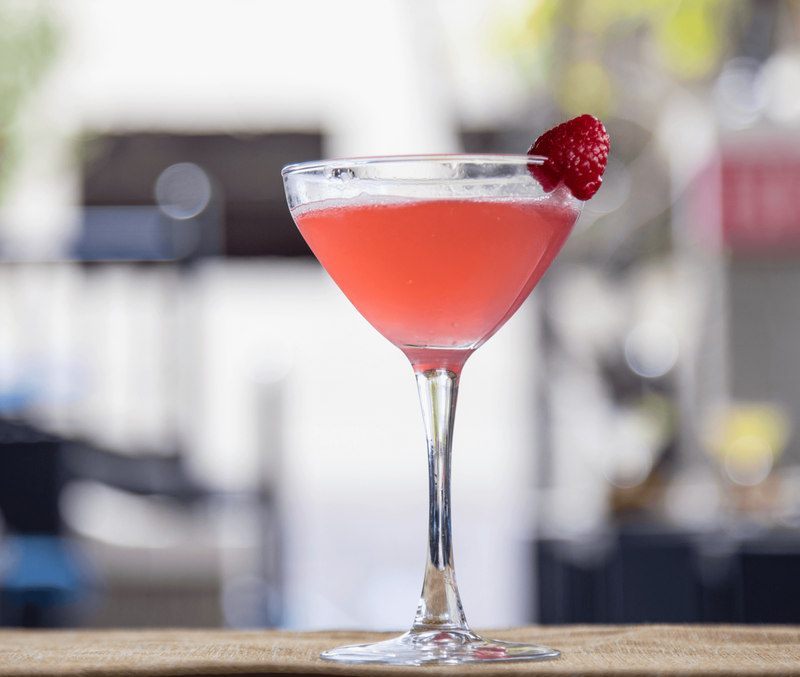 The service, the cocktails, the food, the ambience, and the incredible playlist come together for an unforgettable dining experience. You cannot go wrong with any of the entree selections, and we can highly recommend the strata, shrimp, and polenta, and, of course, the decadent, melt-in-your-mouth pecan sticky bun. The cocktails are excellent, especially the La Donna made with homemade limoncello and proseco and the Seventy Seven. For a very special occasion the reserve wine list is one of the best in the city. Brunch is served from 11 am to 3 pm.